As more and more financial institutions start to adopt money management tools, does Personal Financial Management (PFM) hold the key to differentiation in the marketplace and can it successfully help banks compete against the incoming wave of regulation and digital challengers? Or does real differentiation lie in understanding and embracing the true potential of PFM, extending beyond money management into more advice-based, goals-focused planning? To answer this, let’s start with some context. In its current setting, PFM is the provision of tools that supports customer money management on digital platforms. To date, the market has seen financial providers introducing tools that support consumers with tracking, categorising, reporting on or managing personal finances, within an online platform. Whilst the inclusion of these tools is a positive step in helping customers gain greater control over their finances and thus can help deliver additional value and develop stronger customer relationships, currently no bank is offering a comprehensive solution and propositions are rather basic. In order to compete in a new regulatory environment, banks will need to address this. In the UK especially, PFM and money management tools have limited functionality. Lloyds Bank Money Manager allows customers to categorise spending, create savings plans and input payment dates into a calendar. However, whilst this provides the customer with an overview of their financial picture, it is only available on desktop and only analyses a Lloyds Bank current account or credit card. The customer is also left to update and monitor the tool themselves. Not exactly a convenient and quick process. Two factors that are vital to success in the digital age. At Mapa, we regularly audit and track the functionality of over 50 banks worldwide. In regards to PFM, we view Deutsche Bank as the current leader across global major banks. 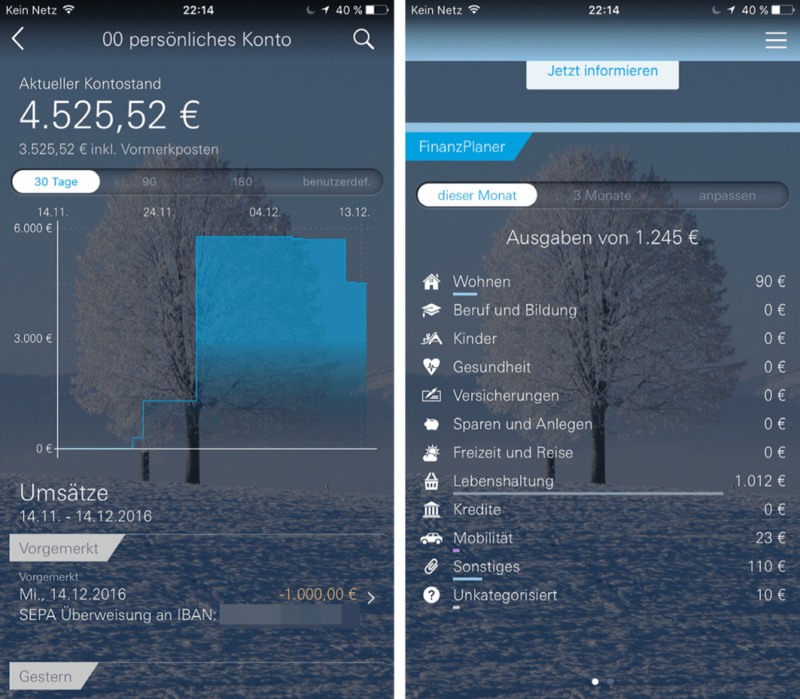 Deutsche Bank’s FinanzPlaner app categorises spending and provides an overview of the customer’s financial picture. However, it also goes one step further by aggregating information from any other bank account in Germany, so a customer can view and monitor spending and income across all their owned accounts. However, innovation in this space is primarily coming from the financial challengers, who are free from the chains of legacy IT systems and the siloing of customer data. New digital challengers are better able to capture and record customer spending behaviours and visualize more data to the customer. They also have delivery models that are considerably more cost effective than traditional banking. This means challengers can begin to provide more bespoke and relevant PFM services to customers that go way beyond the traditional way of banking – pushing a preselected portfolio of products to customers. Instead, new challengers will begin harnessing customer data in order to provide the right solution to satisfy the consumers’ needs at the right moment and through the right means. Although no one is completely there yet, some FinTechs are already showing promise in this space. Pariti in the UK analyses its users spending to act as a personal money coach. By linking bank account information to the app (currently quite a laborious process), Pariti aggregates customer information to help users keep track of spending habits, available funds and debt. More interestingly, the app tracks a user’s debt and positions a loan promotion to the customer for them to consolidate it. 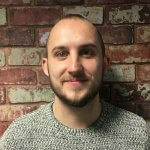 The actual loan is provided by Zopa, an alternative P2P lender in the UK, demonstrating not only that the app is providing personalised and relevant product promotions, but also that FinTechs are exploring partnerships to expand their product range and deliver all the products and services a traditional bank can. However, as we head into a post-PSD2 world, banks do have one very big advantage. FinTechs currently rely on customers to provide them with their account details in order to aggregate their financial information. This is a big ask considering today’s online security concerns and the fact that these brands have not been on the scene for very long. With established relationships in place and significant brand strength, banks may have the advantage when it comes to asking customers to aggregate their account information. Therefore, although current functionality is lacking and there is some work to do by banks to provide a comprehensive and usable money management service, those that do start to get it right will be able to successfully compete against the new wave propositions. Saying all that, true differentiation in this space lies in harnessing the real potential of PFM: Exploring capabilities beyond money management and using a customer’s digital footprint to not only communicate to customers in more relevant and personal ways, but also – more importantly – to learn about and digest consumer behaviour, and tailor service propositions around their needs. By doing this banks can become more than a provider of products and services to customers, they can become trusted partners. To get to this point, banks will need to start harnessing and analysing customer data in far more detail than they are doing now. Current innovation is still based entirely on past and actual transactions and merely provides an overview of spending. The potential of PFM is to use this information, combined with analytics, to start providing convenient and bespoke advice to customers. To truly understand customers, banks may have to explore customer behaviour away from finance. A customer’s digital footprint today is vast and advances in data storage limits the potential of this data being lost. Every action a customer makes online leaves a digital trail, revealing information about who they are, their behaviours, habits and aspirations. Some credit agencies have already begun looking at ways of utilising online information to create digital profiles of their customers. Information found online, from the university the customer attended to their previous employment history, is collected and digested and used to help decide the success of applications. Banks currently do not understand why customers manage their finances the way they do. Banks don’t understand the goals or financial needs of their consumers. Current PFM tools do nothing to change this. However, the advances in digital profiling provides banks with the potential to understand this information about their customer. Utilising this information can extend banks to a new service level – advisory. This service will include providing contextually relevant offers and promotions, automatic budgeting, prevention of transaction fraud, automated management of payments, borrowing and investments as well as forecasting and goals based planning. Knowing your customer will decide the battleground in the future. It will allow not only greater interaction between customer and banks, but also customer loyalty in the face of digital challengers. Embracing the future potential of PFM will be the real differentiator and the difference between digital market leaders and market laggards. Find out more about PFM in our Insight Series Report.